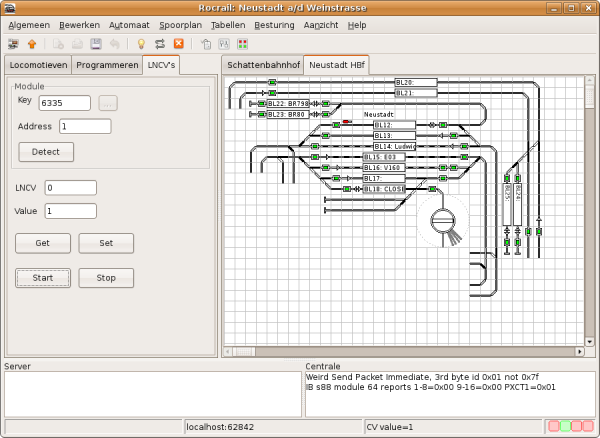 LNCV's seems to be an invention of Uhlenbrock Elektronik GmbH, which gives programming I/O modules another dimension. 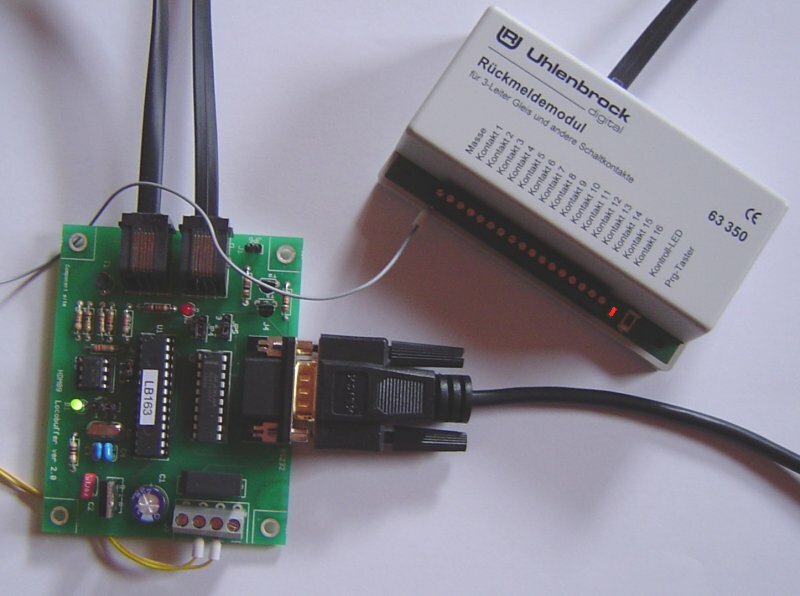 Uhlenbrock Elektronik GmbH did not publish how it works, but it is easy to reengineer it. So what does Rocrail do with this information? Starting to provide a general dialog to program LNCV's similar the IB it will make users not having an IB box but build them a LocoBuffer the ability to program such devices. The dialog is in a very rudimental state but usable if you know how. If the detect command did get a response from a module the Module Key will be set and the module will accept LNCV commands. In this case you have to push the Start button to make the module listen to LNCV commands. 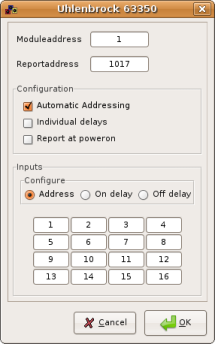 Do not forget to push the Stop button to signal the module to quit LNCV mode. The LED will stop blinking and the programming is done.